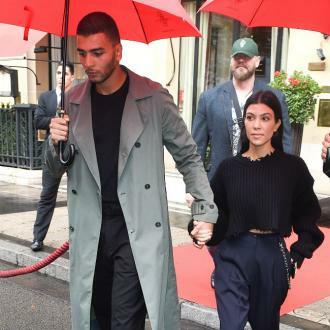 Kourtney Kardashian has ''gone completely into her shell'' following her split from Younes Bendjima. The 39-year-old reality star split from her toy boy lover earlier this month, and it has now been claimed that she's ''hurting'' following the decision to cut ties with him, and she's having a hard time opening up to her famous family. A source told Radar Online: ''She's hurting and humiliated after her split from Younes. She always thought she knew what she was doing, even with the huge age difference between them. ''She's gone completely into her shell, won't talk to any of her sisters, and refuses any kind of therapy. 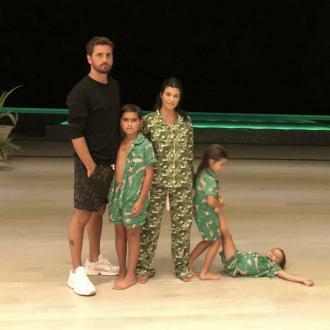 The news comes after it was reported the 'Keeping Up with the Kardashians' star - who has Mason, eight, Penelope, six, and Reign, three, with her former partner Scott Disick - had cut ties completely with the hunky model in order to avoid any ''drama''. An insider said: ''Kourtney is doing great. She isn't seeing Younes. She is happy being single for now. Meanwhile, it was recently claimed their split was welcomed by Kourtney's family - including her sister Kim Kardashian West and her mother Kris Jenner - as she had started to withdraw from them while she was dating the 25-year-old hunk. A source said: ''Kourtney was always so private and closed off when it came to Younes, and that really distanced herself from her sisters. ''Things are fine with them now and I'm sure they'll get even more back to normal now that it seems he's out of the picture for good.